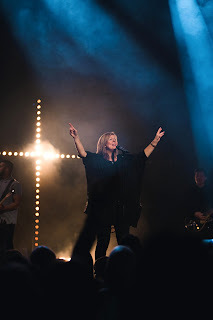 Darlene Zschech has been one of my favorite worship leaders for many years. Way back in 1993, Darlene penned “Shout to the Lord” with Hillsong Worship, where she was worship Pastor from 1996-2007. Over twenty years later, this song is estimated to be sung in 25-30 million churches weekly! Her other highly popular worship anthems include “The Potter’s Hand,” “Irresistible,” “Worthy Is the Lamb,” and the more recent “His Glory Appears” and “Cry of the Broken.” After Darlene and her husband Mark moved from Hillsong Church and became senior Pastors at Hope Unlimited Church, Darlene released another powerful worship CD, Revealing Jesus, which was her first live solo album. 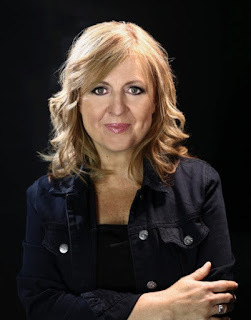 As successful as Darlene Zschech has been (though popularity is the furthest thing from her mind), 2014 posed an intense challenge for Darlene: she was diagnosed with cancer. Chemotherapy and times of intense sickness followed. But through it all, Darlene continued to worship. It was during this time that Martin Smith (previously from Delirious?) met with Darlene and asked her what she would like to write about during her season in the valley. 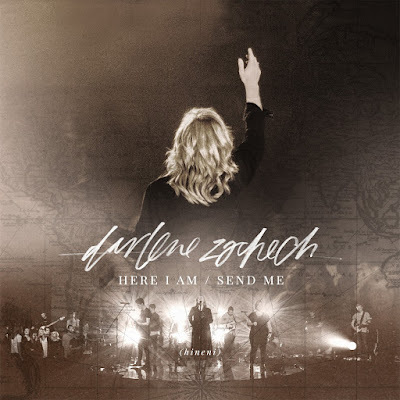 Darlene’s answer was sure: “I want to say, ‘HE IS GREAT!’” This is the result – Darlene Zschech’s newest album, Here I Am (Send Me). Just like the powerful worship anthems we’ve come to love from Darlene, “You are Great,” opens up the Here I Am (Send Me) album. Darlene’s phenomenal vocals match with lyrics similar to “Shout to the Lord,” as the opening track declares the power of our God: “You are great/ No one in this world can have Your fame/ So let the earth declare Your holy name, Jesus!” Its slower bridge is simple, singing, “We stand in awe, Jesus!” The presence of God is evident in this first track, making it (and the album as a whole) a perfect soundtrack for personal or corporate prayer time. With strong drums yet a light pop tempo, follows “You Will Be Praised,” which was co-written with Jenn Johnson from Bethel Music and Paul Baloche. Its lyrics are deeply rooted in Scripture, as it is based on Psalm 34, yet reminds me of Psalm 23 and 103, singing to our soul that we will praise Him through whatever comes our way. Especially resonating is the powerful bridge: “Oh my soul will praise in the darkest of nights/ Oh my soul will praise/ I will bless Your Name with all of my strength/ I will bless Your Name!” I loved hearing Darlene Zschech raise her voice and remind the live audience that our God is a good God and worthy of praise, challenging them to worship Him with their all, just like she has done in previous albums! “Daylight” follows, being co-led with another worship leader at Hope Unlimited Church, Beth Gleeson, who also wrote the song with Darlene. Beginning with light acoustic guitar strumming, it is so easy to get lost in the simplicity of this track, which, especially in its chorus, borrows heavily from Psalm 91: “I will walk unharmed, angels all around/ I will trust and not be moved.” The track builds very strongly yet is very tranquil. With soothing piano sounds and a synthetic drum beat comes “Kingdom Come.” Its chorus is based on the Lord’s Prayer, a cry for God’s kingdom to come to earth as it is in heaven. The most upbeat track on the album follows, titled “First Love.” With a disco beat, the track is synonymous to the upbeat worship tracks we’ve heard from Hillsong Young & Free, such as “Alive” and “Wake,” and is sure to be the favorite on this album for the younger listeners. “Love and Wonder” follows in the same key, yet is nothing more than acoustic guitar and electric piano – more of a soaking worship track. Less than two-minutes long, this track, written and sung by Darlene’s daughter Zoe, is an outstanding interlude in the album, where she simply sings “You who calmed the oceans, You who guard my footsteps, You call me close into Your love and wonder.” Short and sweet, this track is one of my favorites off the Here I Am album. Next comes a gospel track composed of electric piano and a synthetic clap beat, “Your Eyes” – a timeless track reminding the listener that we turn our eyes to Him because His eyes are already on us and He won’t turn away. “Emmanuel” is much like the slower, yet strong tracks off Hillsong’s God He Reigns album and showcases Darlene’s angelic vocals, as it describes that “There’s no one like Jesus” in all that He has done for us (“strength in times of weakness/ Word in flesh among us/ You meet me in my sadness/ Walk with me through fire”). I especially loved the bridge, where the track builds and simply repeats, “You are with us, Emmanuel, we will not fear” – definitely the soundtrack of listeners going through fearful times. My personal favorite off the Here I Am (Send Me) album is “Beloved (When I Survey).” “Beloved,” a duo with Pati Telea from Darlene’s church (whose calm vocals are complimentary), actually appeared on Leeland’s 2015 release Invisible. (Leeland Mooring co-wrote the song with Darlene.) This serene track beautifully depicts Jesus in the Garden of Gethsemane and yet, in the agony, stating “Father I will follow You.” The poetic lyrics then turn it over to the listener, putting us in Jesus’ position, where the listener has the joy of deciding to leave it all behind and follow Jesus. Its chorus, so touching, reveals that as we wait on the Father, He is singing over us, “You are my beloved.” And as the track fades out to little more than acoustic guitar and background synthesizers, Darlene, with supportive background vocals from the other worship leaders, sings through several stanzas of “When I Survey The Wondrous Cross” – beautiful beyond words! Closing the album are “Here I Am (Send Me)” – the title track – and “Go.” Similar in sound and message to Lindy Conant’s Every Nation (Every Soul) album, these last two tracks are upbeat anthems answering the great commission and crying out for all that God has for us; they are based on Isaiah 6, a prayer that God would send us, just as He sent the prophet Isaiah (“You send me to the nations/ You send me to my neighbors/ Send me with Your love”). Here I Am (Send Me) finds Darlene Zschech as powerful as ever. It’s obvious that the enemy couldn’t slow down or stop her with his attack of cancer against her life, but rather caused her to rise up and resolve to worship all the more. Here I Am (Send Me) is the perfect soundtrack for prayer time, as it is a stunning worship album that leads the listener right into the throne room of God and wonderfully carries His presence!